​Paramount at HNT Tours is the safety and well-being of our clients. Our extensive experience in the mountains of Hokkaido and internationally gives us a profound respect for the power of nature, and we will not hesitate to postpone, cancel or alter a trip if we encounter adverse weather conditions. All scheduled plans in an itinerary are subject to change according to safety conditions. The safety of our guests is our top-priority, and all tour decisions will be made accordingly. In the event of adverse and unsafe weather conditions prior to a tour, we may postpone a tour. If a guest, having paid a deposit, can no longer participate in the postponed tour, he/she is entitled to a full refund. If a tour cannot be postponed and must be canceled, guests' deposits will be refunded in-full., Alternatively, we can credit a guest account for any future HNT trips upon request.. Cancellations by guests up to 10 days before a Set Trip are eligible for a 50% deposit refund. Cancellations within 10 days of a Set Trip unfortunately are not eligible for a refund. Once an invoice has been sent by HNT, quoted prices are valid for 7 days. After 7 days, a new invoice may be necessary. Guests eligible for Early-booking discounts (10% off), Group rates (groups of 4 or more get 15% off), or Member's discounts (5% off), must pay deposits within 7 days from the booking date to secure discounted price. HNT requires a 30% deposit for any of its Set Trips to secure a spot. The remaining tour balance should be paid upon pick-up on the day of the trip. Pay in-person at our base camp (office) in Sumikawa, Minami-ku, Sapporo. Meeting somewhere else in Sapporo is also possible upon request. 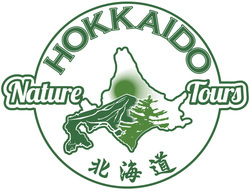 Thank you for visiting hokkaido nature tours!